Over the past few months, we've received numerous questions related to our apps, devices, and online therapy platforms. Below are our answers to a few of the questions received. No tricks here, we promise. Don't see your question below? Don't worry, we'll be posting additional questions and answers in future blog posts, and you can submit your own question on the form at the bottom of this post. A. Great question, Erica! 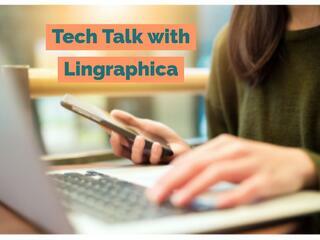 Our devices and SmallTalk apps are both icon-based applications; however, there are major differences between the two. The first major difference is that the device icons have the ability to be edited and the SmallTalk icons can't be edited. The second major difference is that the device icons can be moved and rearranged while the SmallTalk icons cannot. The third difference is that the existing device icons can be deleted and new icons can be created while the SmallTalk icons are permanent/cannot be deleted and new ones can't be created. The fourth difference is that the SmallTalk apps are available for download on an iPad or iPhone and the application on our devices is not offered on any other platform. And finally, our devices are are covered by insurance, while our SmallTalk apps are free and do not require insurance. Click here if you're interested in learning more about our SmallTalk apps or click here if you're interested in learning more about our communication devices. A. Hi, Derek! Happy to hear you're interested in joining our monthly ACE webinars! Below are the webinar registration instructions. Just a reminder, these webinars are completely free to join and are always recorded, so don't sweat it if you miss a webinar. Step 2: On the homepage, scroll down to the middle of the page and click the button that says "Register for the webinar." Note that the webinar's date and time are listed above. This section is updated for each new webinar. Step 3: Once on the registration page, complete the form at the bottom of the page and click "Submit." Step 4: After you complete and submit the form, you will receive a confirmation email to the address you provided on the form with instructions on how to access the webinar as well as the webinar link. Note: The link will not be accessible until the date and time the webinar is scheduled to begin. If any issues arise during the registration process, you can always contact our technical support team at 888-274-2742 or by completing our tech support form. A. Hey, Eric! We're happy to hear that you've been using TalkPath Therapy with your mother! There is a way to increase the difficulty of the exercises, and I have listed out the steps below. If you run into any issues, our technical support team is happy to help. Give them a call at 888-274-2742 or fill out our tech support form. 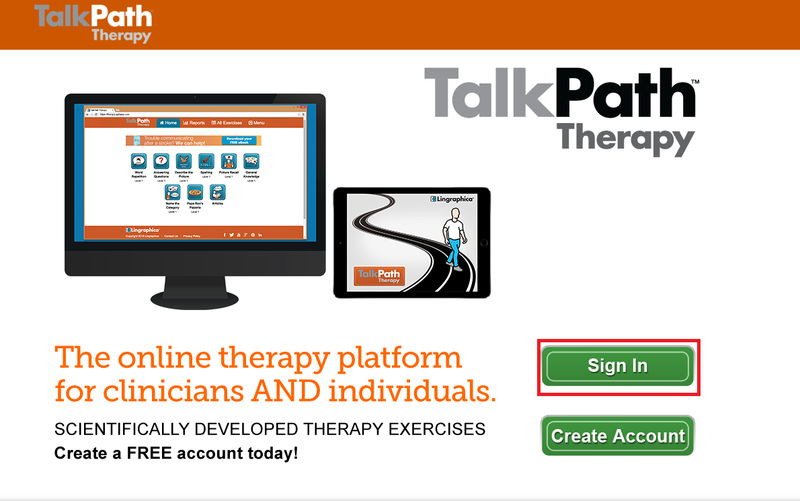 Step 1: Sign into your TalkPath Therapy account. Step 2: Once you're signed in and on the home page, click "All Exercises" on the top navigation bar. Step 3: Select the category and exercise type you would like to practice. Note: Any video-based exercises will not have a difficulty level. 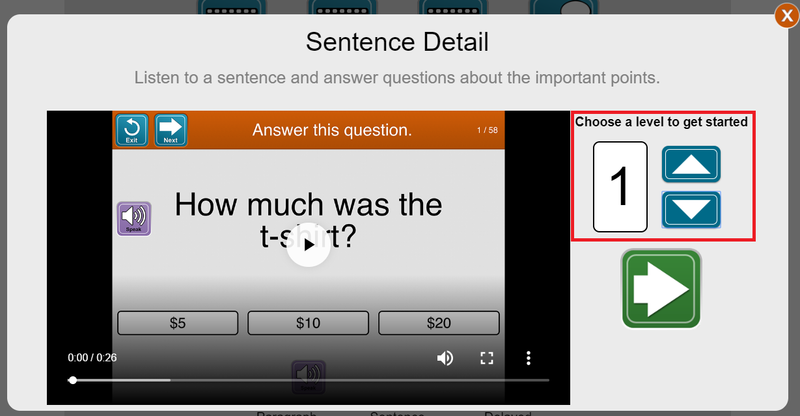 Step 4: Once you select the category and exercise, you will see an exercise preview screen pop up. This is where you will be able to select the difficulty level before you begin the exercise. Difficulty levels begin at one and increase in difficulty as the number gets larger. Once you have selected your preferred difficulty, click the green arrow to begin the exercise.